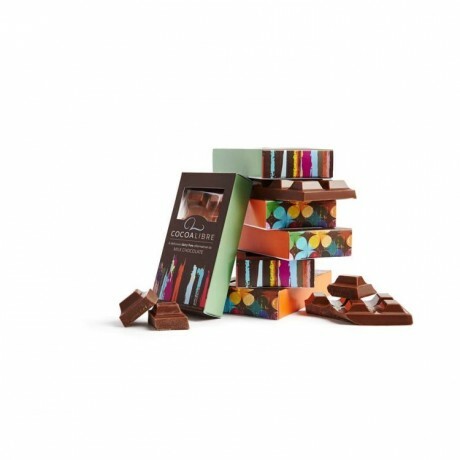 An 8-piece rice milk chocolate bar, made with rice milk as a creamy alternative to dairy. 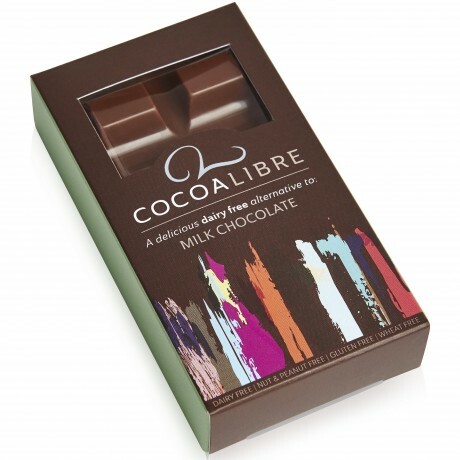 Available to buy in quantities of 6 bars (50g each). Lovely little chocolate penquins, perfect gift. Lovely little chocolate penquins, perfect gift. Arrived on time, well packaged and excellent service. Thank you! Great product and fast delivery. Made my dairy-free friend very happy this Christmas- thank you! Enjoyed by a little boy with a severe allergy to cow's milk. Enjoyed by a little boy with a severe allergy to cow's milk. So good to see a quality alternative for a sensible price. Fast delivery. Excellent quality and taste. Thank you SO much! MY GRANDSON CAN'T HAVE DAIRY,SO HE MISSES OUT WITH CHOCOLATE. Dairy, nut and gluten-free artisan chocolates that don't compromise on taste.